If your friends still won’t listen to your podcast recommendations, we now have an easier way to get your opinions in front of their eyeballs. Reviews are shareable! You can now share any review from the Podchaser community on Twitter, Facebook or whatever social media platform you’re currently allowing to sell your data. When you share your review on social, we will magically transform it into a pretty image with the podcast’s artwork in the background. If you’re a podcast creator, Shareable Reviews are a great way to engage your audience. Sharing user reviews shows your listeners they’re appreciated, and can spread their enthusiasm to potential listeners. Ask your listeners to rate and review on Podchaser, and feature their feedback on your social media channels! You could end up on our homepage as a trending episode! And if you’re a podcast listener, having your reviews shared is a great way to inflate your ego. 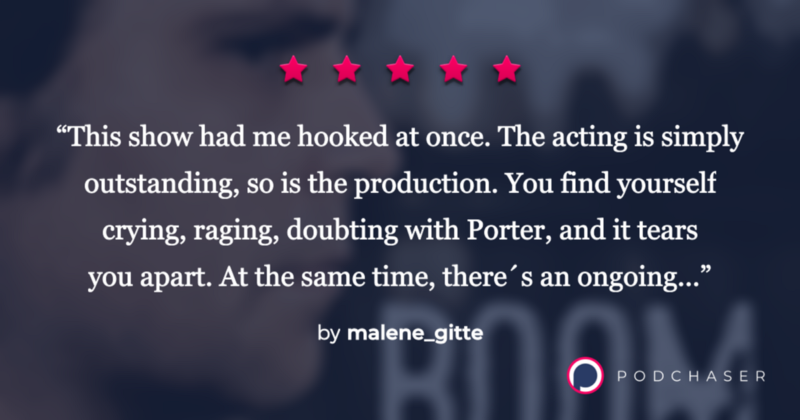 Shareable Reviews can also add a fun element to your partnership with Podchaser. Recently we partnered with Wine and Crime and Girls Gotta Eat, who asked their listeners to rate and review episodes on Podchaser for giveaway entries, collectively resulting in 196 new ratings and 163 reviews! Email Cole (cole@podchaser.com) to talk about partnering with Podchaser and ask how you can incorporate Shareable Reviews into potential giveaways. Are you ready for it to be even easier to launch podcast episodes from Podchaser? Because it’s now even easier to launch podcast episodes from Podchaser. Podchaser is an agnostic destination for podcast discovery; we’re here to help users on every platform listen and discover new favorite shows. That’s why you can now open any podcast in your preferred podcast app! If that’s not cool enough for you, we’re excited to announce partnerships with RadioPublic and Player FM that allow you to open episodes directly from Podchaser, with more integrations coming soon! Once you’ve found a great episode, listening to it on RadioPublic is a breeze. Just tap the link, install the free RadioPublic app for iPhone or Android and start listening right away — RadioPublic doesn’t even require an account to get going. We’re delighted that Podchaser is here to help podcast lovers curate and discover podcasts. Player FM’s goal is to make podcasts accessible and fun for everyone, so we’re pleased to see this initial partnership immediately available to users of both platforms. Looking forward, podcast publishers and podcast audiences all stand to benefit from richer standards on features such as playlists, classifications, and ratings. We hope to collaborate with Podchaser to develop those standards and put them into practice. We’ll continue to work closely with podcast players to fully utilize Podchaser’s open-platform, accessible ratings system. Stay tuned, because you may just see Podchaser ratings start to appear in your favorite apps. Thanks to Ben and his intrusive finger for this inspiring selfie with Mike. We could have cropped it out, but why miss the opportunity to embarrass him? Try out our new features and tell us what you think! Go to our Slack channel, Twitter, or email to let us know what you like and where we can improve.